A quick view of the most influential metrics in 4S Ranch. 4S Ranch and Black Mountain Ranch and Santaluz are master-planned and luxury living communities in San Diego County, California. 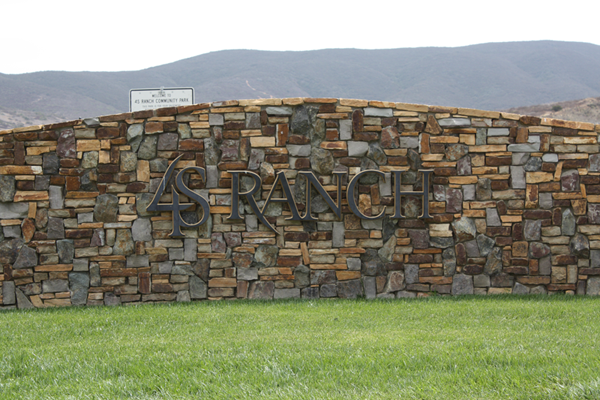 No one is sure where the name for 4S Ranch came from or what it references, but the history of the land that would one day be 4S began with the Rancho San Bernardo owned by Englishman Joseph Snook who became a Mexican citizen by the name of Jose Francisco Snook. Development of 4S began in the early 1980s and continues today. This master-planned unincorporated community spans 2,900 acres with a town center, 4,700 homes, 1,600 acres of protected open space, numerous parks and miles of trails for hiking, biking and jogging. The community hosts several annual events like the Fall Festival, Summer Movie Nights and the 4S Ranch Fourth of July Carnival and Street Faire. There is limited commuter train service and coach buses from the community. The main thoroughfares in 4S are Camino del Norte and Rancho Bernardo Road. These communities feature beautiful open spaces, quiet streets, security and countless opportunities for community involvement all of which foster a true sense of community and peaceful living. Homes for sale in these communities are primarily single family homes that range from single story homes through multi-story structures and range in size from 2,100 square feet up to 5,500 square feet. Local real estate agents are best equipped to help you find the perfect home for you and yours in 4S, Black Mountain Ranch and Santaluz. View our selection of available properties in the 4S Ranch area. Check out the latest demographic information available for 4S Ranch. Learn more about schools near 4S Ranch complete with ratings and contact information. Browse through the top rated businesses in the most popular categories 4S Ranch has to offer.